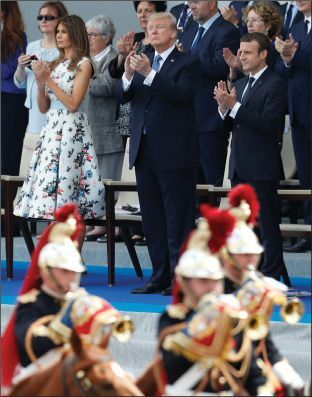 Trump clearly had a blast, but his manners left something to be desired, said Le Parisien (France). He had another one of his bizarre, drawn-out handshake battles with Macron. And when he met the French leader’s wife, Brigitte—who at 64 is 25 years older than her husband—Trump blurted, “You’re in such good shape!” and then turned to Macron as if to congratulate him.